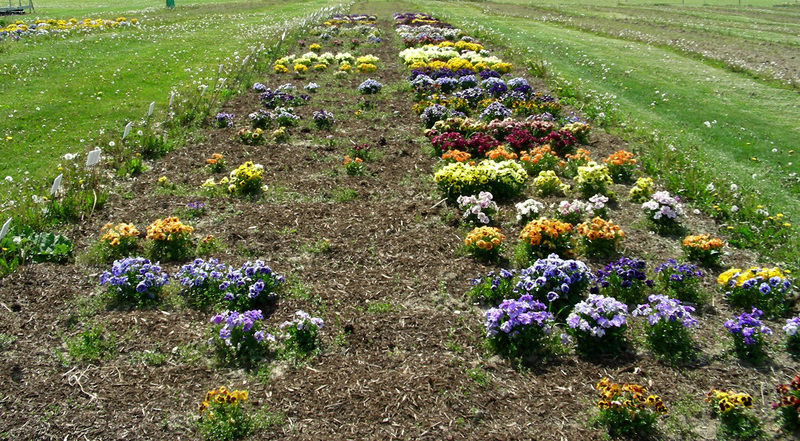 Pansies and violas have enormous potential to extend the blooming season. They are traditionally planted in the fall when little else is blooming, and they are frequently the first flowers blooming in late winter or early spring. You may even see them flowering beneath the snow as it begins to melt. There are many, many varieties of pansies and violas that are hardy, but with a little extra effort even the less hardy ones can be overwintered.. 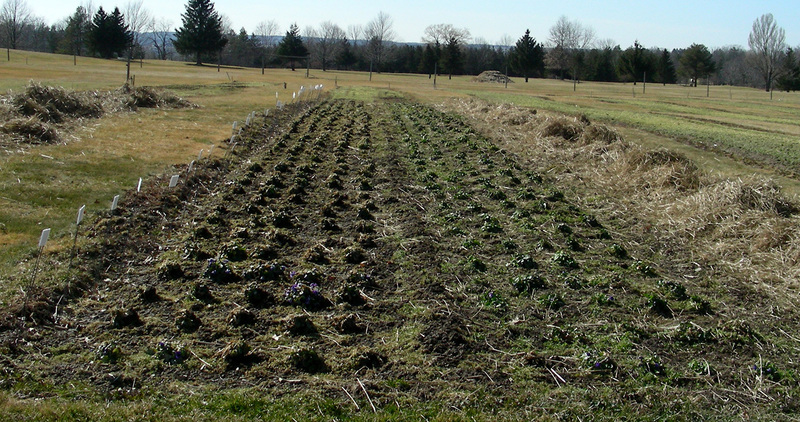 In the 2008-2009 season, we investigated the use of straw mulch to help them overwinter. 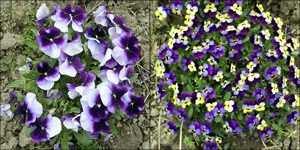 Both pansies and violas are in the Viola genus, but are different species. 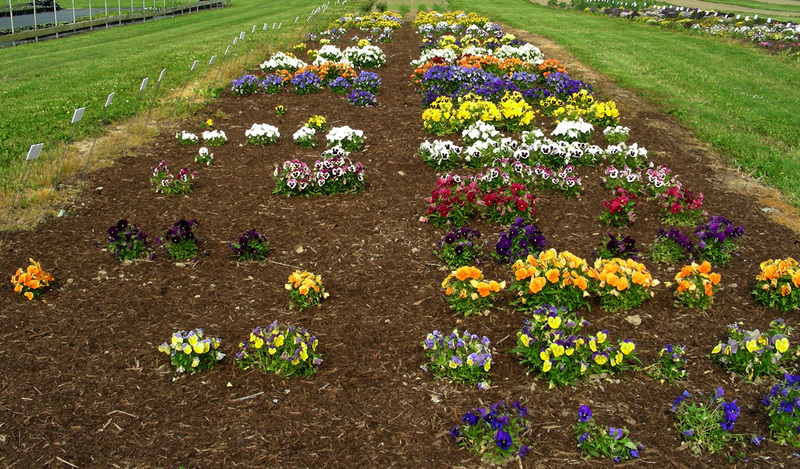 Pansies (Viola wittrockiana) usually have fewer, larger flowers, and may be less hardy. 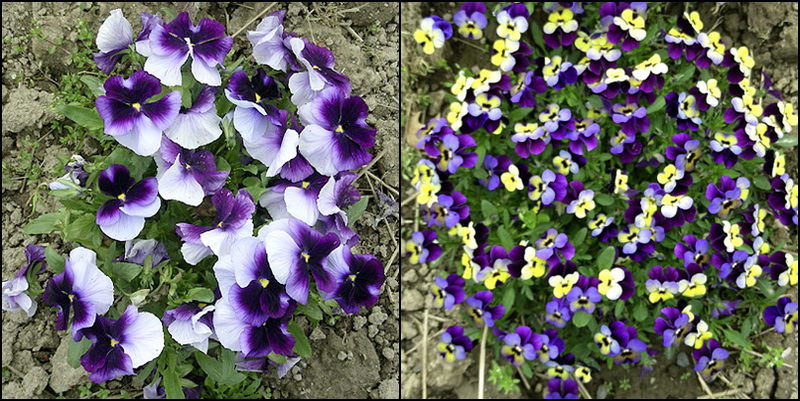 Violas (Viola tricolor) usually have more, smaller flowers, and tend to be more hardy. Pansy (left) and viola. Larger image. 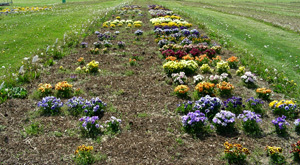 In early fall 2008, we planted 10 replicates of nearly 100 different cultivars. Later in the fall, around Thanksgiving, we mulched half of the plants of each cultivar with 3 inches of straw mulch and we left the other half bare. Winter came and went (see weather info), and the following March we raked off the straw and allowed the plants to grow as normal. The result? 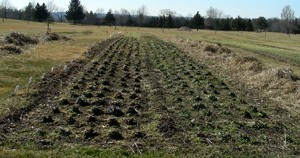 Overwintering was greatly improved by the use of straw mulch. This was especially noticeable in the pansies. 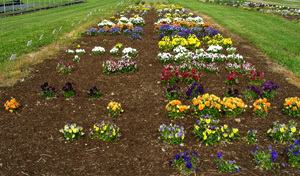 Violas were very hardy regardless of mulch. And because we had a very cool summer that year, the plants continued to bloom all the way into August. There was some dieback when the temperature rose, but when it cooled off again in late September many began blooming again. To view more detailed information, browse the individual cultivar pages to see how they performed, or download Excel datasheet.